Very powerful drummer, he has played with many great bands, as we're going to read. He was born in Hounslow in January 19th, 1953. He joined his first band while he still was at school. They only released a single, 'Ultrastar'/'Wildfire' in 1973. After that, Shipston and Edwards carried on with a new lineup. They released the single, 'Follow that car'/'Lucinda' in April 1976, as well as their first album, The living rock. They recorded their second album, Hoodlum fun. For a while, Clive toured and recorded with Screaming Lord Sutch, but can´t find proper info. Maybe this happened when his cousin, John ´Rhino´ Edwards also played for Sutch. Can someone help with info, please? Clive´s next band was called Screamer, but can´t find any info! They released the album Makin´ magic in 1977. They appear in the album BBC Radio 1 live in concert with tracks recorded in 1977 and 1980. Filthy McNasty was a parallel band formed by great singer Chris Thompson (who was lead vocalist in Manfred Mann Earth Band at that time). Some of the members also played in other bands (Geoff Whitehorn was still a member of Crawler). In April 1978, they played at The Bridge House, Canning Town, London. It was released a collective live album, Live: a week at the Bridge E16, shared with several more bands: Jackie Lynton's Happy Days, Gerry McAvoy Jam, Salt, Remus Down Boulevard and Roll Ups. Filthy McNasty are featured in 3 tracks. The band even recorded a live album at The Marquee, which sadly still remains unreleased. Filthy McNasty evolved quickly into Night in November 1978 (with Chris Thompson, Stevie Lange and Billy Kristian), with Robbie McIntosh instead of Geoff. They released Earthquake, recorded between November 1978 and January 1979. BAND WITH GARY BARDEN #? + others unknown to me. Maybe Neil Murray? Lockton also played in some demos with bassist Neil Murray, but I don't know if they're the same demos as with Gary Barden. Anybody knows? Also, I'd like to know if this was intended to be a proper band, or just recording demos. Vocal duties are shared between Stratton and Rocky. But the drum seat was never too permanent in the band. After some time (help with additional info will be welcomed! ), Clive Edwards joins Grand Prix. I can't find accurate info about this band, so any help would be very welcomed! They played at Reading Festival in August 1982. One live track appears in the collective album Reading Rock. And seven live songs from this lineup also appeared in Bernie's own The Friday Rock Show Sessions. Sorry, I don´t have info about Clive´s stay in Grand Prix. 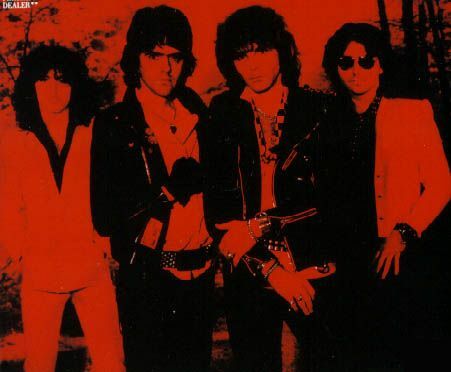 This band evolved from Bronz, but as Shaun Kirkpatrick was the only original member left, they changed the name to Blueprint to mark the start of a completely new band. They recorded an album at the Roundhouse in London and at Power Plant London with Max Norman producing. But the album was never released as the record company went into liquidation... until January 2010 when the album was finally released under the title Carried by the storm. Great news! They also played some gigs after that but things finally fell apart after 2 years. They released the album High stakes & dangerous men. A live album was also released: Lights out in Tokyo: live. In June 1993, this lineup disappears when Mogg and Way start working to reunite their most classical lineup with Schenker, so everyone else in the band leaves. Now a quartet, with lead singer Ian Raines also handling bass duties. 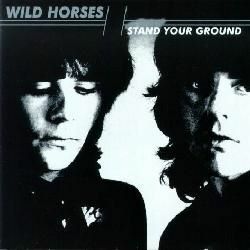 They released an album, Losing ground in 2008. Comments: Makin' magic is a superb album, recorded with some guests: Glenn Hughes (vocals), Brian Robertson (guitar), Pete Solley (keyboards), plus ex-members Nicko McBrain (drums) and Roy Dyke (drums). Comments: The Friday Rock Show Sessions is a live album compiling two different concerts. 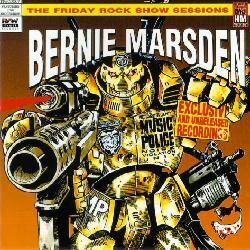 Four tracks were recorded by Bernie Marsden & friends (Bernie Marsden, David Coverdale, Neil Murray, Don Airey, Simon Phillips) at that radio show in 1981. 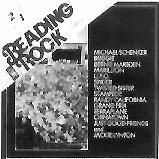 Seven tracks were recorded at Reading Festival 1982 by Bernie Marsden's SOS (Bernie Marsden, Robert Hawthorn, Steve Cherry, Richard Bailey, Clive Edwards), including a guest appearance by Micky Moody in one track. Comments: Don Airey played in the album, produced by Kit Woolven, and recorded in 1991. Other guests: Terry Reid, Stevie Lange and Nic Holland on backing vocals. The Japanese edition contains a bonus track. 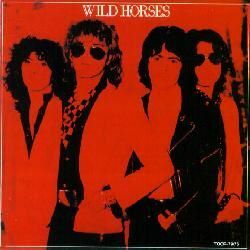 Comments: Live album with tracks recorded with different lineups: 4 tracks recorded in July 1977 (with Pat Travers, Mick Dyche, Mars Cowling and Clive Edwards), and 9 tracks recorded live in the 1980 Reading Festival (with Pat Travers, Mars Cowling, plus Pat Thrall (guitar), and Tommy Aldridge (drums)). Comments: Many years later, in 1999, another album was released by Lionheart, comprising old, unreleased tracks. It's called Unearthed - Raiders of the lost archives, a 2CD, comprising 30 tracks, ranging from December 1981 to September 1985. Obviously, different lineups are featured here. Dennis Stratton, Rocky Newton and Steve Mann play in all tracks, and other featured musicians are: Clive Edwards (drums), Bob Hawthorn (vocals), Chad Brown (vocals), Phil Lanzon (keyboards), Nicko McBrain (drums), Bob Jenkins (drums), Bruce Bisland (drums) and Andy Bierne (drums). Comments: Compilation with several live tracks. Comments: 3CD compilation, including the complete albums Earthquake, Fire wind and the previously unreleased Prologue to the Symphonic legends from 1995, as well as Aquila Suite from 1991. Comments: Compilation including mostly live tracks. 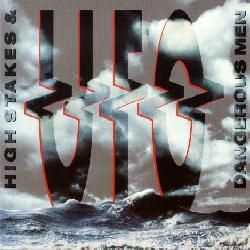 Comments: 2CD containing 3 UFO albums: High stakes & dangerous men (with 1 bonus), Live in Texas and Live in Tokyo. Comments: Live album (LP+EP) recorded at The Bridge House, Canning Town, London in April 1978. The album is shared with 5 bands: Jackie Lynton's Happy Days, Gerry McAvoy Jam, Salt, Filthy McNasty (3 tracks), Remus Down Boulevard (2 tracks: 'Only for you' and 'Gunrunner'. But, as I don't have this album, I can't tell if Ron Berg appears there, as Remus Down Boulevard had different drummers). Comments: I don't know who they are. This album features, among others, Mark Volman (vocals, from The Turtles and Flo & Eddie), Bunny Brunel (bass, currently in the superb band CAB), Clive Edwards (drums), Jean Paul Ceccarelli (drums). 01. I need more info on other Rococo lineups, as well as the complete name of their first singer Richard. 02. Who plays in Rococo´s 3rd single from 1981, ´Home town girls / Quicksilver mail´? Was it credited to the band Future? 03. I need to find info about his stays in the bands Berlin and Grand Prix. 04. Did he ever play with Thin Lizzy in some TV appearance (by the time Dave Flett was with them)? 05. Can someone help me with the list of musicians appearing in the live album Live: a week at the Bridge E16, please? 06. I need to find info about Clive´s work with Scott Gorham and Cathy September. 07. Does Clive appear in any recording by Lord Sutch and Zaine Griff (maybe the ´Passionate reply´ single?)? Shaun Kirkpatrick: for all the info about Bronz and Blueprint. Lauren Archer: for info on the Stampede reunion. Alex Gitlin: for the Wild Horses scans. 25/January/2010 - Page added to the blog. 30/May/2003 - Original page written by me (in the old site). Join my Wild Horses Facebook page. We page might be able amswer some of your questions! Clive appears with Thin Lizzy on Top of the Pops with Dave Flett to mime 'Sarah' in 1979. It's on YouTube. Clive plays on the Zaine Griff single 'Tonight' as does Brian Robertson. Some of the musicians on Live: a week at the Bridge E16 - Huey Lewis, Stevie Lange and Chris Thompson. Forgot to mention - Clive was also in a band with Charlie Huhn and John Sykes shortly before Sykes joined Whitesnake. I don't know if they got to the naming of the band stage though they did record demos.